Why the Mouth of Madness !? Some of you have noticed that the Morphic Resonance track "In The Mouth Of Madness" bears similarities with Cydonia's "Why". We need to clarify something here: "In The Mouth Of Madness" was originally intended by Cristian to be a tribute to Cyndonia. As the composition evolved Cristian added his own elements that made it a different track, but some core elements were still recognizable (bass, rhythmic arrangement). Whether "In The Mouth Of Madness" is a remix is "Why" remains subject to discussion. Though, in the heat of the release preparation, the Cydonia guys weren't contacted (contrary to the S.U.N. project guys, from which we got full support, thanks). For those who may be too young to know about them, Cydonia used to be one of the top leading Goa bands back in the days. Signed under the stellar Blue Room Released and Atomic Records, they had this twisted, dark, industrial, sometimes funky touch that made it so recognizable from the rest of the Goatrance output back then. I saw them in Paris in 1999 and they rocked (what remained of) the dancefloor. 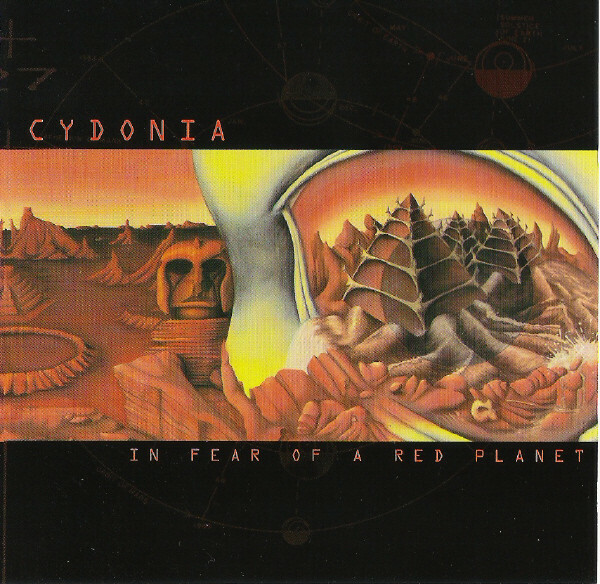 Cydonia was Iain Rive, Steve Ronan and Dino Psaras, who were also involved in other killer projects such as Semsis, Universal Sound, Tortured Brain, Ayahuasca, B.E.T.H... We strongly advise you to go and listen to their EP's and albums.